Life in the wild can be rather "dog eat dog" at times, hence the benefit of survival adaptations. Harris' hawks (Parabuteo unicinctus) are mid-sized raptors that possess a handful of adaptations that assist them in their daily lives, including in their hunting efforts. Harris' hawks are birds of the Americas, with a geographic scope that includes the United States, Honduras and Argentina. Physically speaking, Harris' hawks are darkish, with mostly deep brown feathers. They also have some reddish-brown elements to their plumage, including on their shoulders. Mature Harris' hawks typically weigh between 26 and 37 ounces, with body lengths of between 18 and 30 inches. Females typically are bigger than the males. Some typical living environments for these diurnal birds are dry scrublands, grasslands, tropical forests, semideserts, savannas and wetlands. Some of them even inhabit suburban areas. 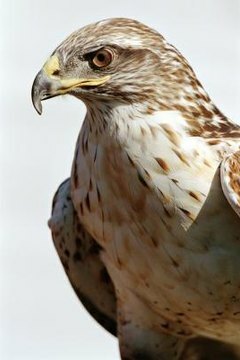 Harris' hawks are lucky in the vision department, with eyesight that could be eight times stronger than that of people. Their impressive vision enables them to easily track down prey animals from pretty remote distances, whether they're in the midst of flying or perched on top of telephone poles. Not only is their vision A-OK, so is their hearing. Team hunting is a behavioral adaptation that is often employed by Harris' hawks, specifically in hunting for meals. When Harris' hawks are searching for food within social units, certain individuals are assigned the task of conveniently driving prey animals straight into the directions of the other group members. When they work in teams, they can seize large creatures like hares and cottontail rabbits, as it isn't realistic for Harris' hawks on their own to catch animals of these substantial sizes. Team hunting allows the individuals in the group to attain more flesh without having to use much energy. The hunting style is thought to be especially effective for units of exactly five Harris' hawks. The strategy is somewhat unusual in the hawk world, as the majority of raptors lead independent lifestyles. Harris' hawks are equipped with elongated wings that are reminiscent visually to oars. Their wings are so lengthy that they're actually double the length of their physiques. Harris' hawks' wings help them fly in a swift and agile manner -- extremely useful for pursuing potential bird prey. The majority of firstborn Harris' hawk babies are boys. This adaptation is effective for encouraging the growth of families. Young female Harris' hawks need higher amounts of sustenance, as they grow to larger body sizes. Male babies that are born first don't have the sky-high food demands of females, and therefore don't deplete food supplies for any youngsters born a little later.